This summer, a host of top European clubs have changed their manager. Some by choice, while others were forced into it. Here's what we can expect from the new arrivals. Illustrations by Rafa Alvarez. Sometimes a picture paints a thousand words. The look on Real Madrid president Florentino Perez's face as Zinedine Zidane announced his decision to leave on a high after winning the Champions League three years running told you everything you needed to know about what he thought of the decision. Perez, whose reputation precedes him when it comes to sacking managers, appeared to finally realise the importance of finding the right man for the job and Madrid were losing him. 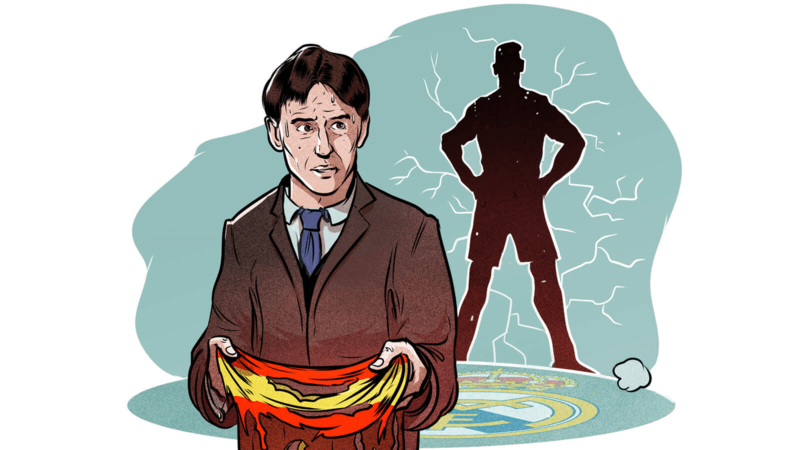 Juventus' Massimiliano Allegri turned Madrid down and in the end Perez announced the hiring of Julen Lopetegui, hoping perhaps that he would arrive as the man who had just led Spain to World Cup glory. Instead, it blew up in Real's face. Lopetegui was sacked by the Spanish FA 36 hours before the tournament began and can't expect a grace period at the Bernabeu from fans and the media either. As if Zidane's boots weren't already big enough to fill, the €100m sale of Cristiano Ronaldo and no imminent replacement in the form of Neymar or Kylian Mbappe is making an already difficult job considerably harder. Lopetegui should, in theory, be a good fit. Madrid have spent the past couple of years accumulating some of the best young talent around and Lopetegui's background in youth coaching and the national team makes him a strong candidate to lead the transition from one generation to another. But how much patience and understanding will he get? Madrid may be European and world champions but in La Liga last year they finished third, 17 points off the top. Meanwhile their domestic rivals have been busy and look stronger. Zizou appeared to demonstrate excellent judgement in the timing of his departure. One of the reasons for that was the assumption he felt Madrid are now at the end of a cycle. If that's a myth, then it's now up to Lopetegui to bust it. Tuchel's teams play some of the most avant-garde football on the planet. The German manager always has his finger on the pulse, laying on complex and mentally demanding sessions that initially require a leap of faith. 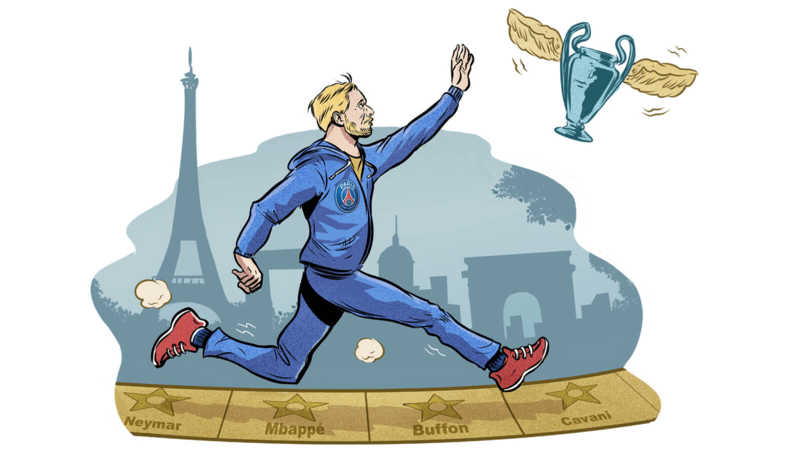 Will PSG's players buy in to his methods and make a leap in the Champions League? This is the big question. For all the scepticism about 40-year-old Gigi Buffon's ability to interpret the goalkeeper role as Tuchel wants, there is a sense he has been signed to bring the dressing room into line and provide the kind of leadership and respect for the rules that has been lacking. Tuchel will need allies. Ever since Leonardo left, PSG's management structure has rarely given the impression of being strong enough to back the coach and counterbalance the star power it has bought in the transfer market. Tuchel will need to show he has learned from his mistakes in man-management at Dortmund. This goes beyond just keeping the players onside: he needs to do a better job of managing up and avoid falling out with key decision-makers like Neymar. If everyone pulls together though, there is absolutely no reason why PSG can't smash through the glass ceiling of the Champions League quarterfinals and fulfil their potential. Tuchel got the best out of Pierre Emerick Aubameyang and Henrikh Mkhitaryan at Dortmund. The potential in Paris is so much greater with Neymar and Kylian Mbappe. Niko Kovac earned his chance at Bayern Munich after taking Eintracht Frankfurt from battling relegation to nearly qualifying for the Champions League. Beating his new employers in the final of the 2018 DFB Pokal did his image no harm either, but the 46-year-old lacks the Champions League winning pedigree of Bayern's past four coaches and wasn't top of the list when it came to replacing Jupp Heynckes, either. Outside of Germany, Kovac's appointment underwhelmed. 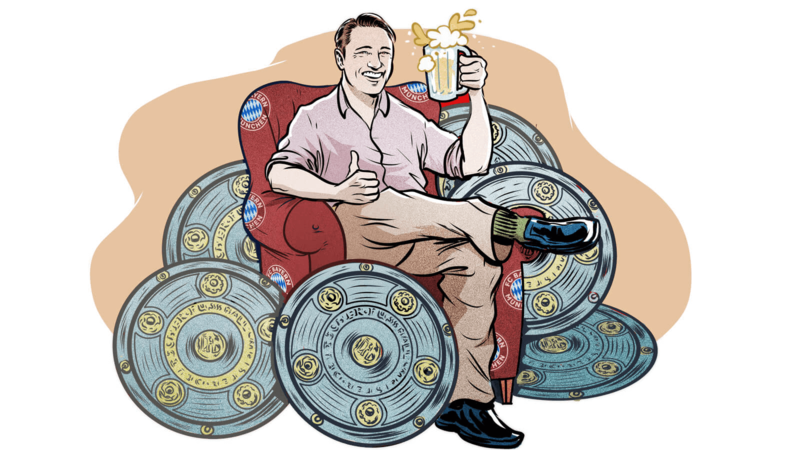 Overcoming that scepticism and winning over a dressing room that turns on even the nicest and most successful of coaches (poor Carlo Ancelotti) is hardly a walk in the Biergarten. Bayern won the Bundesliga by 21 points last season -- romping to victory despite the crisis that led to Ancelotti's dismissal -- but Dortmund and RB Leipzig are younger on the pitch and smarter on the bench, or so they would like to think. But it's in the Champions League where Kovac will be judged and the competition feels more open now Zidane and Ronaldo are no longer at Real Madrid. This is his big chance, and Kovac better not miss it, because there is another new arrival in the Bundesliga at his title rivals, Borussia Dortmund's Lucien Favre, ready to pounce on any slips. Dortmund finished 29 points behind Bayern last season, only qualified for the Champions League on goal difference and, as if things were not bad enough already, even trailed Schalke. So this season, expectations are high. Meticulous on the training ground, Favre likes everything to be inch-perfect and he will restore the intensity last seen in these parts when Tuchel was boss. Favre will make Dortmund play better and improve individuals on this young team. Christian Pulisic and Jadon Sancho should hit new heights in their development under his tutelage. Players who have gone backwards in the past couple of years can be expected to bounce back judging by the work Favre accomplished with Mario Balotelli at Nice. So keep an eye on Mario Gotze. Back in Italy after almost a decade in the employment of the richest clubs in the world, where he worked with the game's best players, Ancelotti is in charge of a success-starved underdog run on a tight budget. After writing books about "Quiet Leadership," it's as if Ancelotti wants to show there is more to his management style than massaging superstar egos, keeping calm under pressure and being the uncle you never had. The inventiveness and ability to move with the times that distinguished his career until his Bayern blip will have to come to the fore again at Napoli, who came desperately close to ending a 28-year wait for the Scudetto last season. Maurizio Sarri squeezed everything out of the players at his disposal and it's hard to imagine the same group -- give or take one or two new faces -- playing as well or racking up the same numbers. Sarri dramatically out-performed Napoli's wage bill (the fifth biggest in Serie A) and with Ancelotti's star power yet to attract any big names, the manager needs to be as creative to stave off any regression. 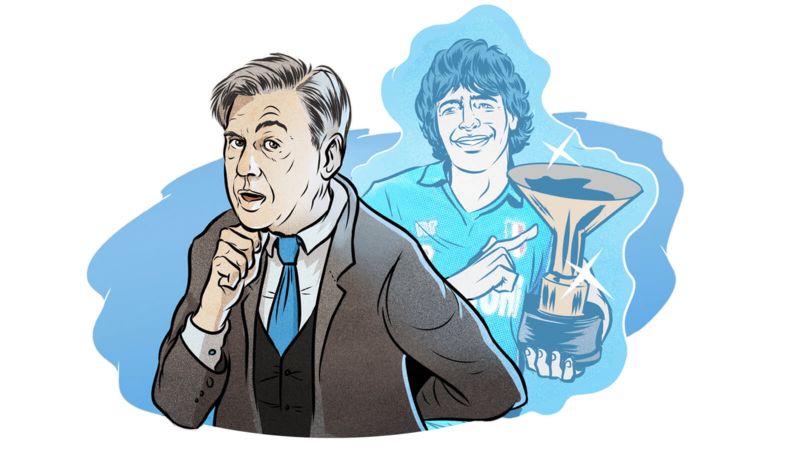 Progress will be measured in silverware rather than stats and if Ancelotti can help Napoli keep their nerve where they lost it last year, his eyebrow won't be the only one raised. Sarri turns 60 next year and has only been working in top flight football for the past four seasons but he is right at the cutting edge, an innovator whose approach and style of play has won him admirers in the highest places. 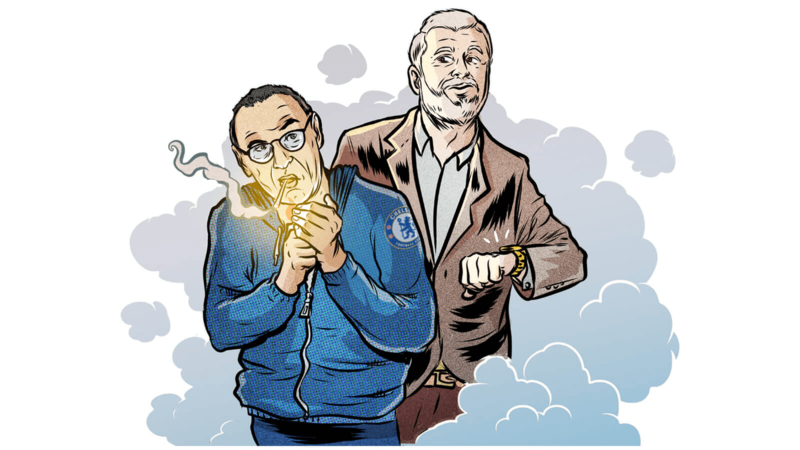 After he impressed with Napoli, the chain-smoking Sarri will lift the mood among players and fans at Stamford Bridge with a brand of football that fires the imagination and leaves you smiling like an idiot. It's a joy to play in and to watch. Years of working on a shoestring budget has made Sarri look for solutions from within and improve the players he already has rather than depend on the transfer market -- something which may serve him well at his new club. As was the case with Guardiola, he may need time to adapt to a new country and culture, but choosing Blues' legend Gianfranco Zola as his assistant and signing former Napoli star Jorginho will help accelerate the transferral of his ideas, which will go a long to bridging the spending gap. How Sarri adapts his rotation strategy to a fourth competition is something to keep an eye on. Chelsea's greater depth -- relative to Napoli -- should enable him to do more than just prioritise one front above all others. Patience will be needed for the implementation of a sophisticated system that foresees so many changes from Antonio Conte's. In the event he is given time (never a guarantee under the watchful eye of owner Roman Abramovich), Sarri should enrich the club and the Premier League with a philosophy many will surely draw inspiration from. The situation at Arsenal has been compared with that at Manchester United five years ago. 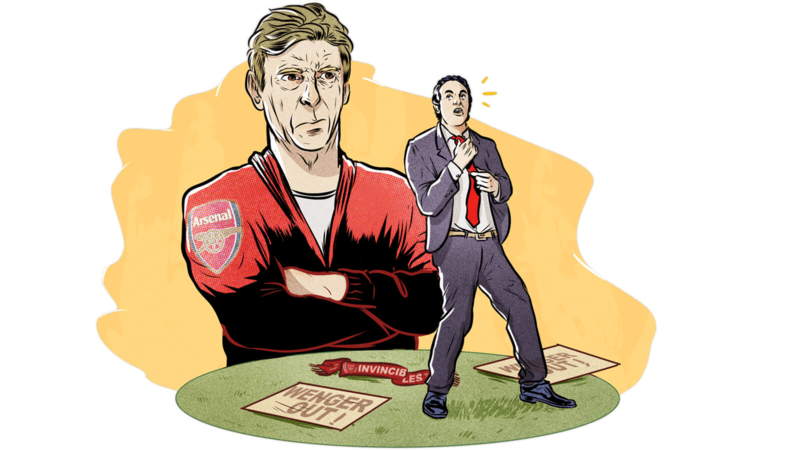 But while the spectre of legendary manager Arsene Wenger looms large, Emery isn't taking over a title-winning team and Arsenal have spent the past year assembling the sort of management structure to put around him that United neglected to bother with in the lead up to Sir Alex Ferguson's retirement and the appointment of David Moyes. There is a sense at Arsenal that it can't get any worse than in recent years and although breaking into the top four looks difficult, Emery's pedigree in the Europa League at least breeds confidence that qualifying for the Champions League is possible via another route. At the very least it's hoped Emery will shock Arsenal's players out of their comfort zone and challenge them to improve. Efforts to affect a change in culture and harden the team up were obvious in the signing of Stephan Lichtsteiner from Juventus. The 34-year-old right-back is a proven winner and the kind of guy no one likes playing against. While 22-year-old Lucas Torreira from Sampdoria could be the midfield terrier the club have been crying out for. More detail in training and analysis should make Arsenal more competitive. The expectations are different from those at PSG and Emery should be judged more on the jobs he did at Valencia and Sevilla who were made to look better than they were, delivering silverware on limited budgets.